I have suggested (e.g. 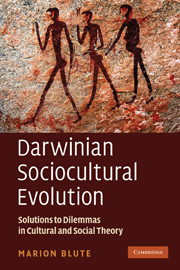 in Darwinian Sociocultural Evolution Chpt. 4 and this blog, Evolutionary Myth 8 posted in August 2010) that resource depletion and environmental degradation do not necessarily go hand in hand as is commonly thought. Specifically, I argued that low densities relative to ecological resources favour consuming/producing more and are associated with small sizes and resource depletion, while high densities favour digesting/re-producing more and are associated with large sizes and environmental degradation. (The size association is because of the greater surface area/volume ratio useful in the former case and the greater volume/surface area ratio useful in the latter case). The associations however can vary depending upon how the four terms are further interpreted. Hanging out sometimes with philosophers who are experts at analysing concepts, including scientific ones, encourages one to pay attention to and dig out these kinds of distinctions. Consider only somatic functions as illustrated in the abstract in Figure 1. If consumption is understood as eating and excreting more (outer arrows 1 and 2) while digestion is understood as breaking down (degradative metabolism) and building up (biosynthetic metabolism) more (inner arrows 3 and 4), then sizes should be as stated – small versus large, but the former deplete and degrade the external environment while the latter deplete and degrade the internal environment. On the other hand, if consumption is understood as eating and breaking down more (left arrows 1 and 3) while digestion is understood as building up and excreting more (right arrows 4 and 2), then depletion and degradation should be as stated with the former depleting (the external and internal environments) and digestion degrading (the internal and external environments) but both sizes should be intermediate (although cost differences could shove both smaller or larger for example). An analogous break down can be applied to offspring production and re-production. Such philosophical analysis of concepts can potentially be theoretically useful in the scientific sense. For example, the different interpretations described can be understood not just as different ways of analysing concepts, but as different ways in which genes specifying different components of life history strategies may be linked differently. 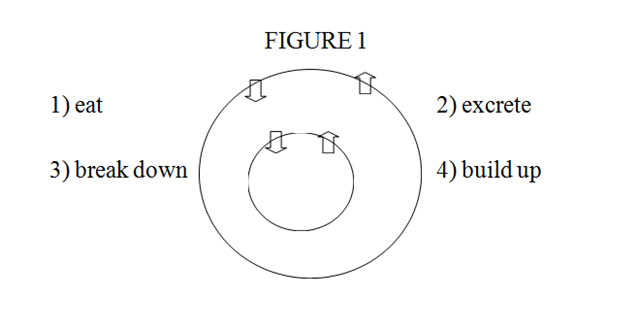 For example, as originally suggested, the first breakdown could characterize heterospory or proto-genders with anisogamy while the second could characterize homospory or mating types with isogamy.